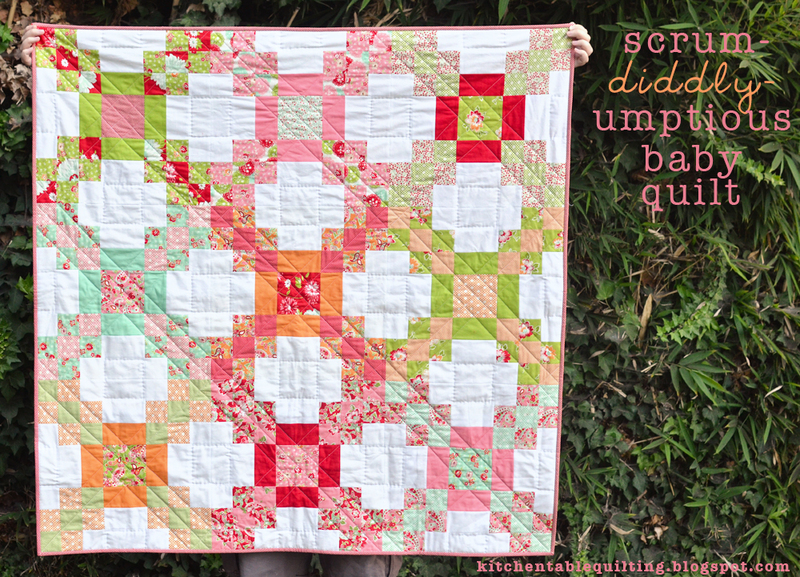 Head over to the Moda Bake Shop to check out this baby quilt that I made with Bonnie and Camille's beautiful Scrumptious line. p.s. Thank you all so much for your wonderful moving advice. It was incredibly helpful, you guys are brilliant! I just came over from MBS to tell you I love your quilt and your tutorial is wonderful!! This is great! I was trying to figure out how to make it before I scrolled all the way down and saw that it's a Moda Bake Shop recipe - perfect! It's lovely - thanks so much! Love all your Moda Bake shop quilts. This is gorgeous. Completely gorgeous. Beautiful quilt and fantastic design! This quilt is beautiful and shows off the fabrics really well. I'm definitely heading over to the MBS to check it out! Just popping over from MBS - had to tell you that your quilt is beautiful and I love the design! This is going on my 2013 list of to-do's! Love it! Sew Sweet! Sharing this, with a link back, on my facebook page at http://facebook.com/sewfreshquilts. Congrats on another wonderful finish! Best creative quilt name ever! So adorable! Love the quilting, very different and eye-catching, saw it before I even looked at the fabric. Very beautiful, i am going to try this.